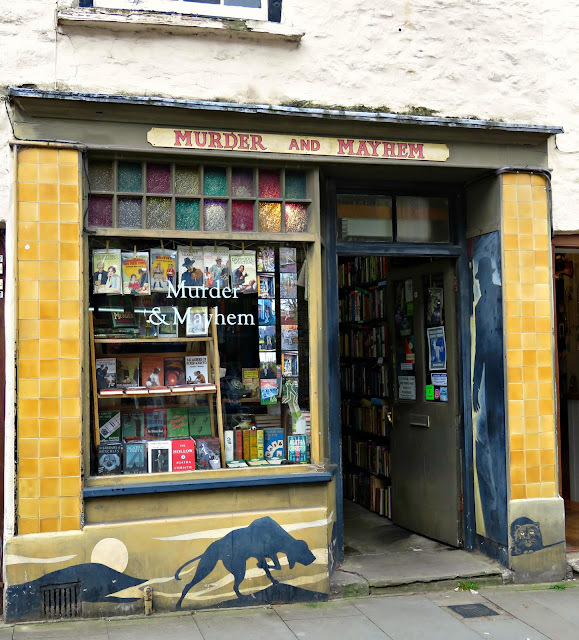 I love Hay-on-Wye. It's totally my kind of town. 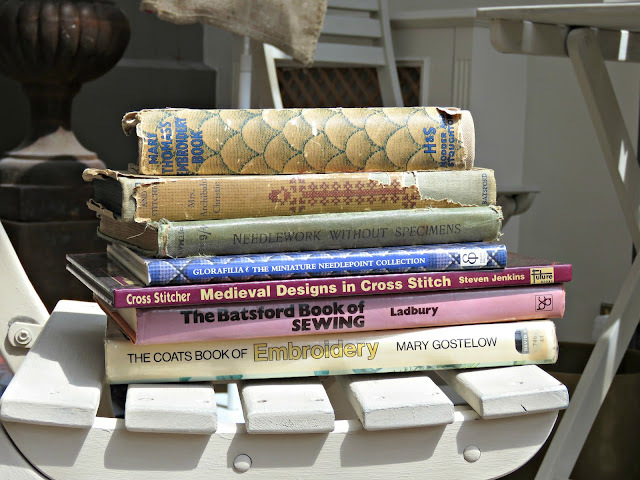 Mr B and I are in the habit of going there on a fairly regular basis to shop, shop, shop. We love it. 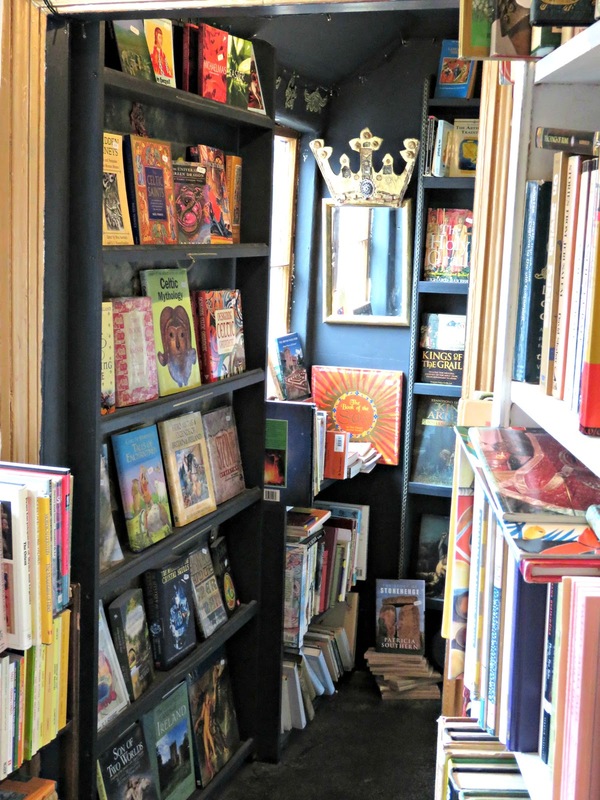 Friends will be puzzled by this shop, shop, shop business because neither of us is the type to hang around aimlessly in shopping malls, or to partake of retail therapy with any kind of glee or gladness, but Hay-on-Wye is different. It's the Timbuktu of Mid Wales: a town that's totally devoted to books! The town was built around an old motte and bailey castle that dates back to the time of the Normans. 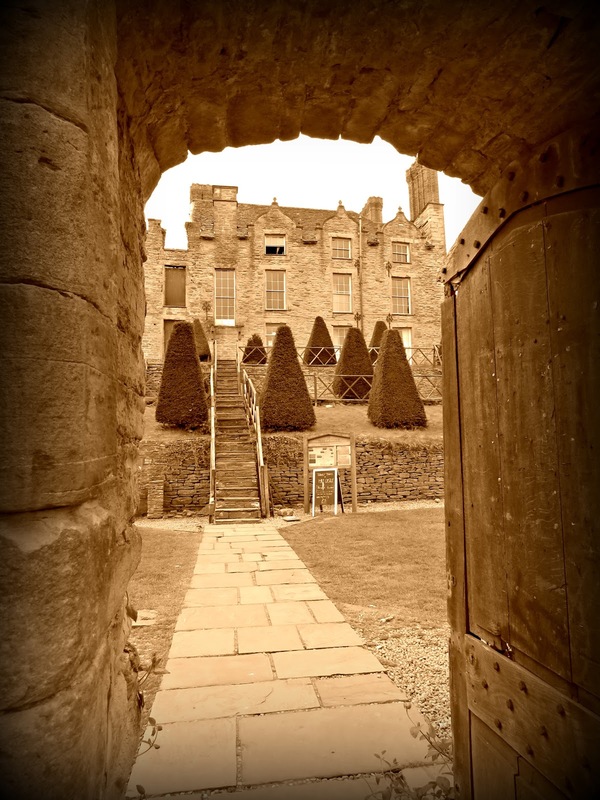 There's a legend that the present castle was built in the course of a single night by, Maud de St. Valery, the formidable wife of a powerful Marcher Lord, William de Braose. Whatever the way of it, the castle was an important stronghold in the wars of the English Kings to subjugate the Welsh as part of their realm, and it was from here that William de Braose rallied his troops. In 1199 King John took the throne, and William and his wife, who controlled strategically important domains in the Welsh March, became firm royal favourites. However they had a spectacular fall from favour in 1207. They were accused of having withheld money from the King, who began to seize their Welsh estates. The word on the street was that this was all a royal smokescreen: William de Braose was said to have witnessed (the very bad) King John assassinate his nephew, Prince Arthur of Brittany, and throw his body in the Seine. Young Arthur, being the son born posthumously to John's elder brother, Geoffrey, ought properly to have succeeded Richard the Lionheart to the throne. If this were true, William de Braose could have destroyed John's reputation. The crown of England would have hung in the balance. And for a ruthless man like John, hungry for power, having lived his early life in the shadow of his more charismatic elder brothers, and having been known pejoratively for much of his lifetime as John Lackland, de Braose was way too dangerous to ever have been allowed to survive. 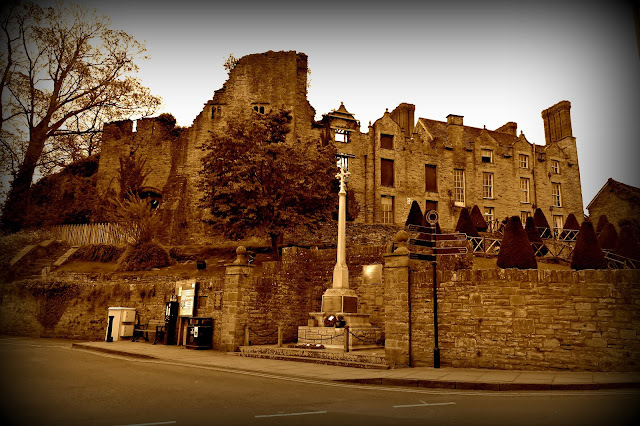 John's soldiers showed up in Hay-on-Wye demanding to take William and Maud's eldest sons as hostages to guarantee their parents' loyalty to the throne. Maud loudly rebuked them, remarking that, after what had happened to young Prince Arthur, no son of hers would be taken into royal custody. Retribution was swift and terrible. King John mobilised against the de Braose estates. William escaped, but Maud and her eldest son were eventually captured, having had to be dragged back from Ireland where they had initially sought sanctuary. Without trial, they were thrown into the dungeon of Corfe Castle in Dorset, then a royal stronghold, where they were slowly and painfully starved to death. The English nobility were so outraged by Maud's brutal treatment that they insisted upon clause 39 of the Magna Carta, which John was forced to sign in 1215. This provides: No man shall be taken, imprisoned, outlawed, banished or in any way destroyed, nor will we proceed against or prosecute him, except by the lawful judgement of his peers or by the law of the land. 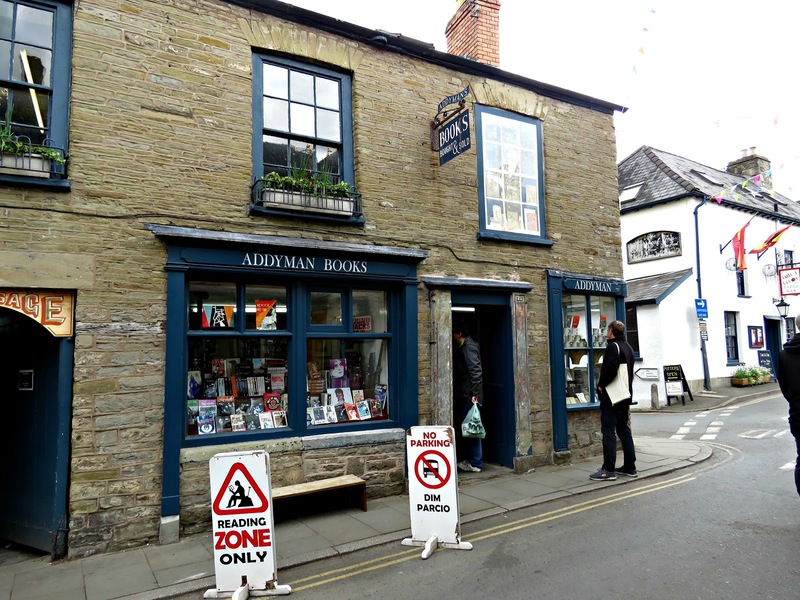 So, in a way, our proud tradition of Habeas Corpus and our freedom from random punishment or persecution owes a lot to events that unfolded here in Hay-on-Wye. Then, as now, Hay was a little town that punched above its weight. 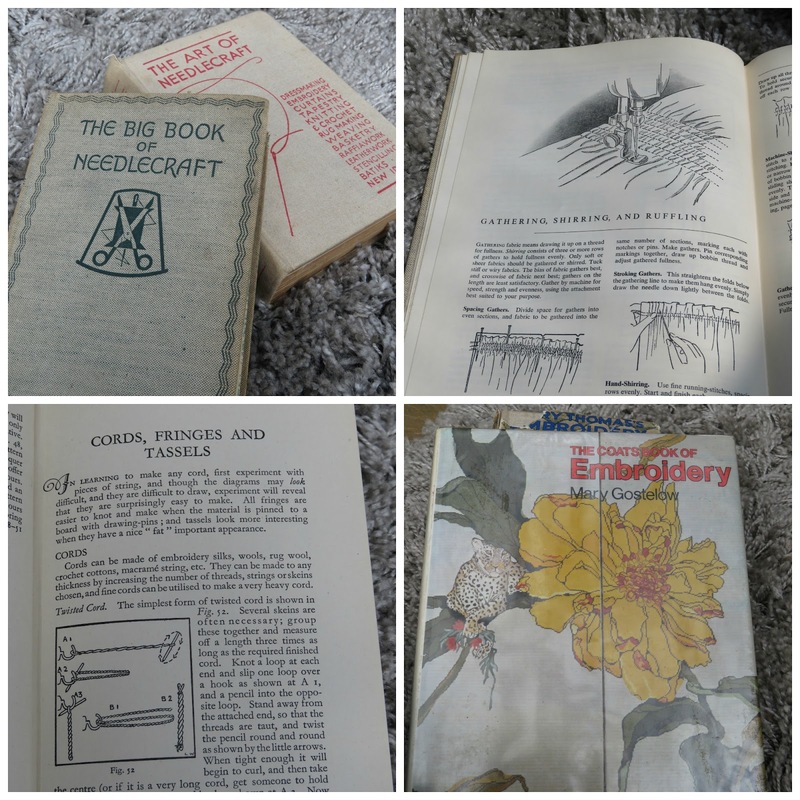 "Two books for a quid!" Modern-day Hay-on-Wye, and its present incarnation, as the Kingdom of Books owes a lot to one man, Richard Booth, and his extraordinary vision. An Oxford man, he came to Hay after a brief career in accountancy to open his first bookshop in the Old Fire Station in 1962. 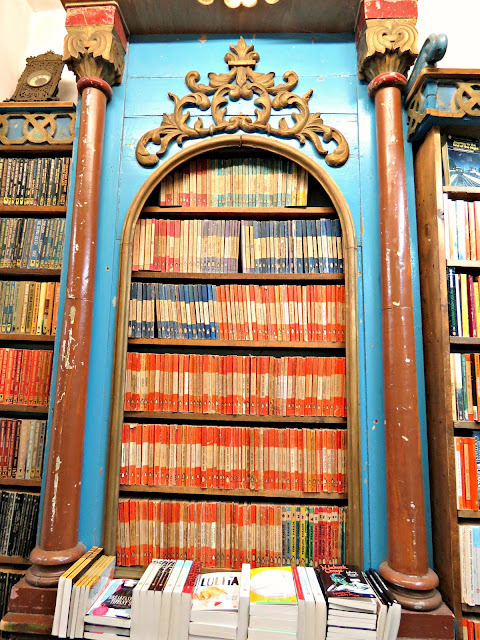 Soon other book-dealers followed. On April Fool's Day 1977 Booth declared UDI, proclaiming Hay-on-Wye to be an independent kingdom with him as her king. He appointed his horse, Caligula, prime-minister and the press couldn't get enough of the story. 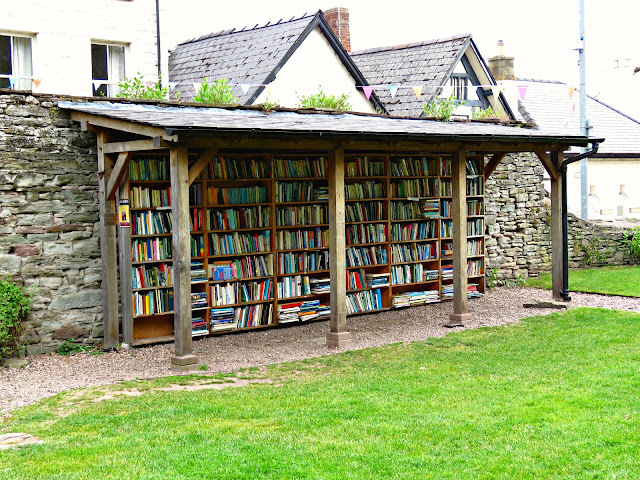 On the back of the wave of publicity launched by his consummate showmanship, Hay-on-Wye has never looked back. And long may she prosper! 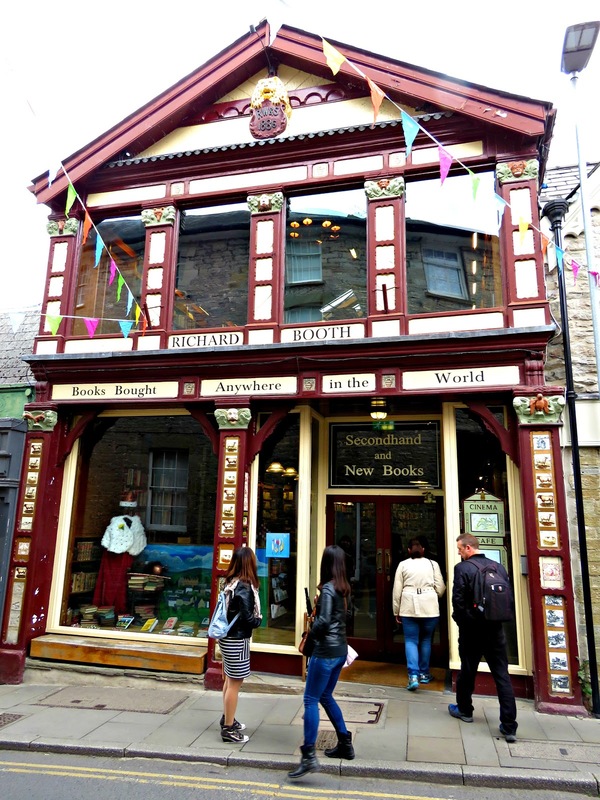 Today Richard Booth has one of the very finest bookshops I've ever visited. It's an absolute gem. There's a huge selection of titles on just about every subject you can imagine; the staff are friendly and knowledgeable; and there's a totally tip-top cafe to stop off in and enjoy a restorative cup of Rosie Lee when you just can't stand up any longer. I did a little happy dance at the check-out; I was so delighted with my finds. These two embroidery books in particular (see photo below) are a special delight. I have pretty esoteric tastes, but Mr Booth certainly kept me happy. 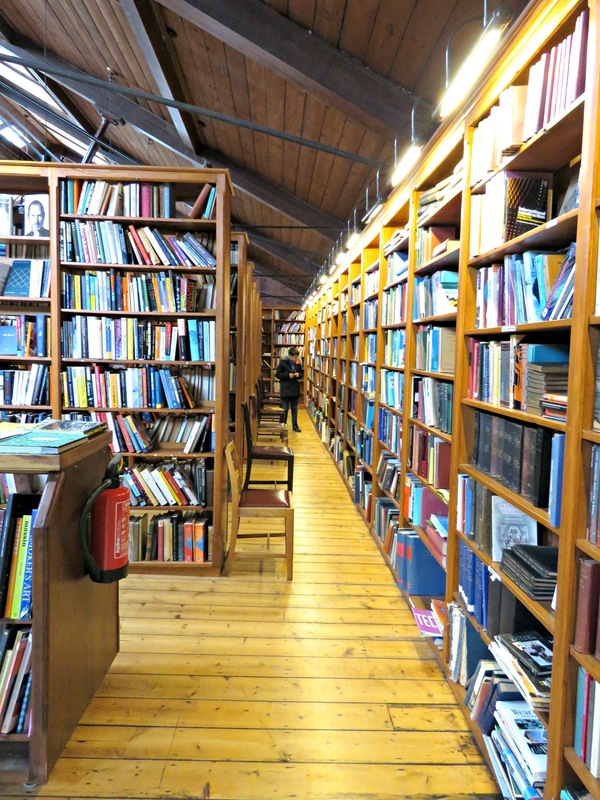 There are bookshops in Hay for every conceivable interest. I loved the shop in the photo below for its fabulous selection of detective novels. 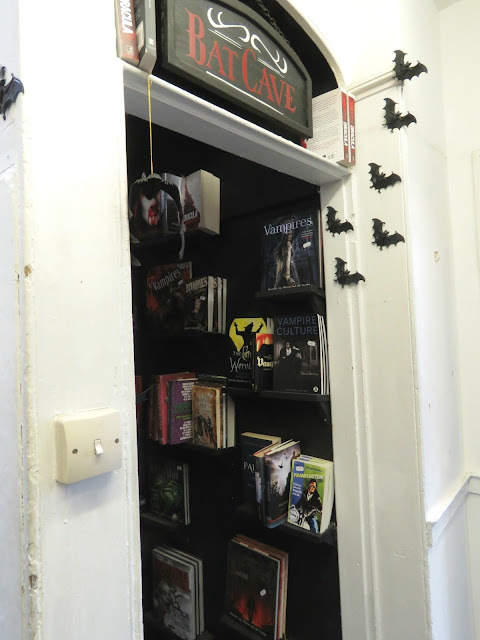 I'm a big fan of who dunnit books, and when the shop front was this much fun I couldn't resist going inside for a browse. And I found a stack of clock books in Addyman Books for my dad. 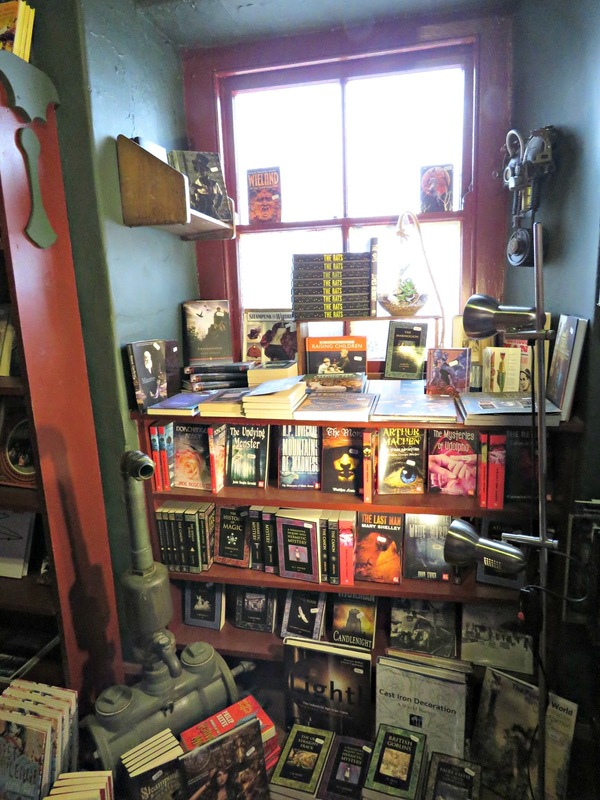 The Addyman shop interior is like something out of a movie set - or, more accurately, several movie sets spread across as many genres. 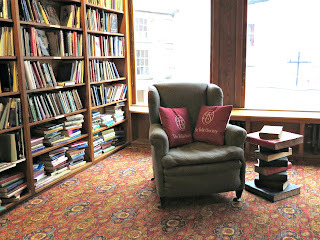 We've had some great times in Hay-on-Wye. I'm not mad about going to the festival because there are too many people. They get some amazing speakers - Hello Bernie Sanders, Stephen Fry, Lucy Worsley and Helen Fielding in 2017! But it's just too crazy full of people for my taste. The photos in this post were taken on our last visit over the first May bank holiday this year. We found this to be a perfect time as dealers were stocking up for the festival, the picking choice was sensational and, whilst there were other people around, it wasn't impossible to move or get a table in the restaurants or park or breathe ... .
Love your header. - What a cool looking castle. Sounds like a fun town to (shop) in. Oh, my, I would never want to leave....Roger would just have to go home without me! Bonny, what a great castle. I love your two embroidery books. You are so lucky you found them. Have a nice time, my friend.